Wedding plans with your Valentine? 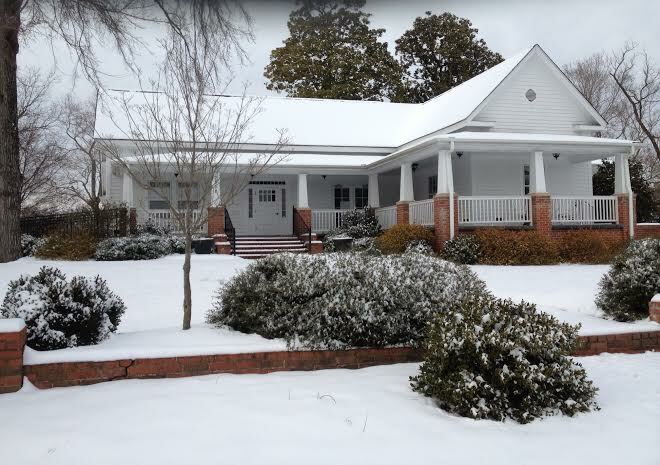 It’s been icy and white at the Rand-Bryan House this winter. As it is warming up, we’re looking ahead to all those beautiful days when our house and grounds will be busy with weddings and receptions. Whether you are already engaged or proposing on Valentine’s Day or some day soon, we hope you’ll consider us for your wedding celebration. Learn more about us on this blog and other pages of our website or on Pinterest and Facebook.